A: Yes, no problem, welcome to visit our factory. We have wire mesh factory in Anping, Hebei, China, and grinding steel ball factory in Handan City, Hebei, China. Q: What is your mode of payment? A: T/T, L/C, Weston Union, Paypal all available. Q: Can we put our logo on the package? Q: Do you offer FREE Samples if I want to buy your products? A: Yes, we can supply free sample for your inspection. Q: How you guarantee the quality? Q: If we make the payment, how long you will make the shipment? A: It depends on the quantity of order. Normally we can send the goods out within 2weeks on receipt of payment. 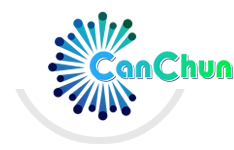 For special specification products by negotiation, CANCHUN will inform the approximate shipping date before you place order.